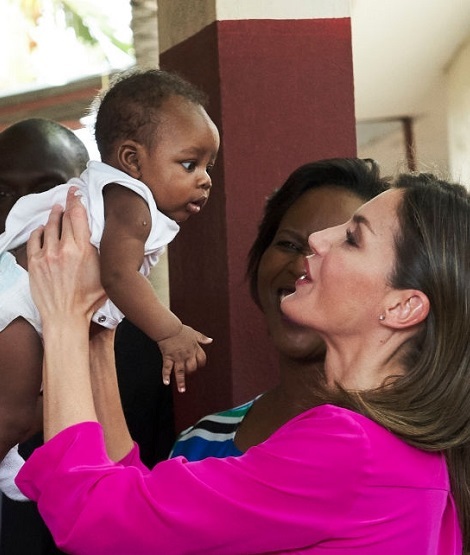 On Wednesday, Queen Letizia started the last day of the Caribbean Cooperation trip. 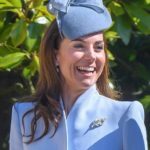 In the morning the Queen went to the Cité Soleil neighborhood, to visit the “Sainte Louise de Marillac” Educational Center of the Sisters of St. Vincent de Paul. Spanish cooperation is financing several projects of the Center with main focus on sanitation and Children health. Upon arrival Letizia was received by the first lady of the Republic of Haiti Martine Moise. 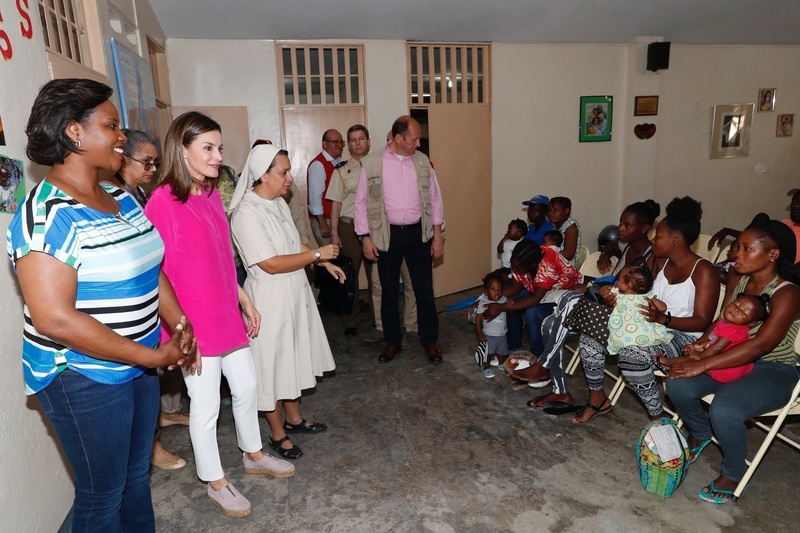 There Doña Letizia toured the facilities of the laboratory and the vaccination room, and experienced the testimony of some of the beneficiaries of the project first-hand. Queen enjoyed quality time with children at the center. The trip showed a very humble and sweet side of Queen’s personality. 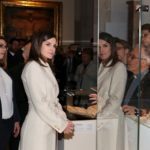 Letizia greeted the sisters of the Congregation of the Sisters of St. Vincent de Paul and discussed the facilities provided by the center. For the first part of the day 3 in Haiti, Letizia chose a bright and colourful look perfectly appropriate for the engagement with kids. She brought back her Uterque Fuchsia shirt with golden buttons that was premiered in 2016 when King and Queen welcomed the board of the Princess of Asturias Foundation to El Pardo Palace for their annual meeting. Embed from Getty ImagesToday Queen paired the shirt with white Massimo Dutti Capri pants that she wore when she landed in Domincian Republic to start the cooperation trip. 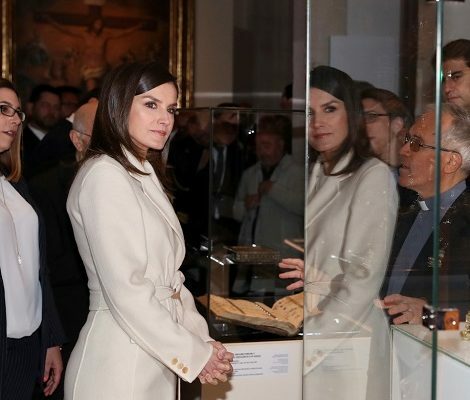 Letizia paired the outfit with GAIMO ‘Ruleta’ Leather shoes. Here shown in pink colorway GAIMO Ruleta Leather are available online for €105.00. 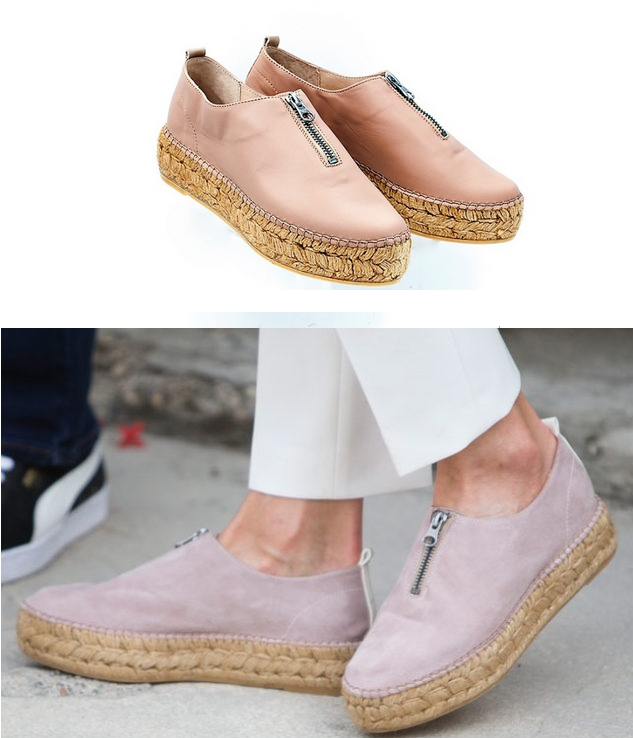 Described as, “rendy and conformable espadrille platform made from genuine leather with front zipper detail features smooth leather lining, lightly cushioned footbed, and signature espadrille bottom with rubber outsole for long-lasting durability”. 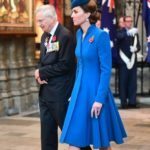 The shoes are from GIAMO’s spring summer 2017 collection and a new addition to Queen’s wardrobe. 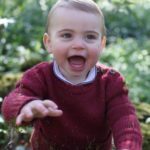 Next Queen will have lunch with the President and First Lady of the Haiti.